Turner, Fred (2006) From Counterculture to Cyberculture. Stewart Brand, the Whole Earth Network, and the Rise of Digital Utopianism. 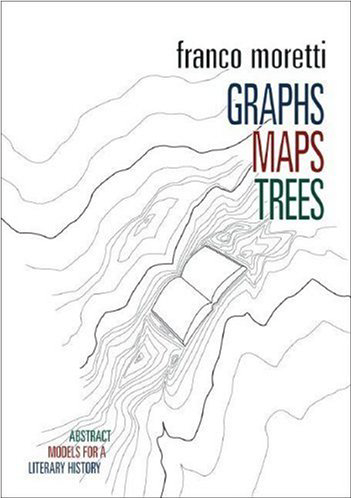 Chicago : University of Chicago Press, 354 p.
Moretti, Franco (2005) Graphs, Maps, Trees. Abstract Models for a Literary Theory. New York : Verso, 124 p.
Literary study, he argues, has been random and unsystematic. For any given period scholars focus on a select group of a mere few hundred texts: the canon. As a result, they have allowed a narrow distorting slice of history to pass for the total picture. Moretti offers bar charts, maps, and time lines instead, developing the idea of “distant reading,” set forth in his path-breaking essay “Conjectures on World Literature,” into a full-blown experiment in literary historiography, where the canon disappears into the larger literary system. Charting entire genres—the epistolary, the gothic, and the historical novel—as well as the literary output of countries such as Japan, Italy, Spain, and Nigeria, he shows how literary history looks significantly different from what is commonly supposed and how the concept of aesthetic form can be radically redefined. Pasquinelli, Matteo (2008) Animal Spirits. A Bestiary of the Commons. Rotterdam : NAi Publishers, 240 p.
After a decade of digital fetishism, the spectres of the financial and energy crisis have also affected new media culture and brought into question the autonomy of networks. Yet activism and the art world still celebrate Creative Commons and the ‘creative cities’ as the new ideals for the Internet generation. 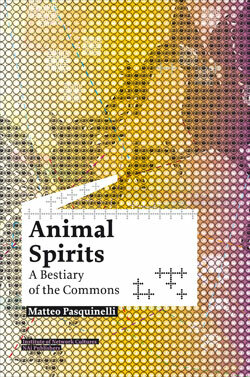 Unmasking the animal spirits of the commons, Matteo Pasquinelli identifies the key social conflicts and business models at work behind the rhetoric of Free Culture. The corporate parasite infiltrating file-sharing networks, the hydra of gentrification in ‘creative cities’ such as Berlin and the bicephalous nature of the Internet with its pornographic underworld are three untold dimensions of contemporary ‘politics of the common’. Against the latent puritanism of authors like Baudrillard and Žižek, constantly quoted by both artists and activists, Animal Spirits draws a conceptual ‘book of beasts’. In a world system shaped by a turbulent stock market, Pasquinelli unleashes a politically incorrect grammar for the coming generation of the new commons. Miller, Paul, éd (2008) Sound Unbound: Sampling Digital Music and Culture. Cambridge : MIT Press, 362 p.
If Rhythm Science was about the flow of things, Sound Unbound is about the remix—how music, art, and literature have blurred the lines between what an artist can do and what a composer can create. 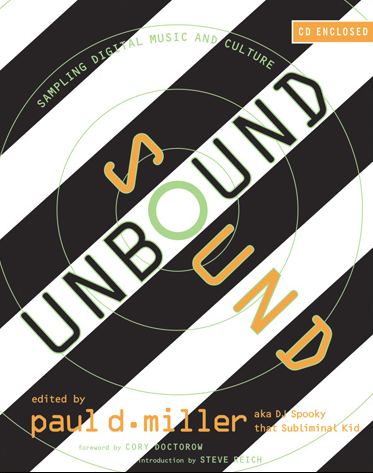 In Sound Unbound, Rhythm Science author Paul Miller aka DJ Spooky that Subliminal Kid asks artists to describe their work and compositional strategies in their own words. These are reports from the front lines on the role of sound and digital media in an information-based society. The topics are as diverse as the contributors: composer Steve Reich offers a memoir of his life with technology, from tape loops to video opera; Miller himself considers sampling and civilization; novelist Jonathan Lethem writes about appropriation and plagiarism; science fiction writer Bruce Sterling looks at dead media; Ron Eglash examines racial signifiers in electrical engineering; media activist Naeem Mohaiemen explores the influence of Islam on hip hop; rapper Chuck D contributes "Three Pieces"; musician Brian Eno explores the sound and history of bells; Hans Ulrich Obrist and Philippe Parreno interview composer-conductor Pierre Boulez; and much more. "Press 'play,'" Miller writes, "and this anthology says 'here goes.'" R. Klanten, N. Bourquin, S. Ehmann, F. van Heerden, T. Tissot (2008) Data Flow. 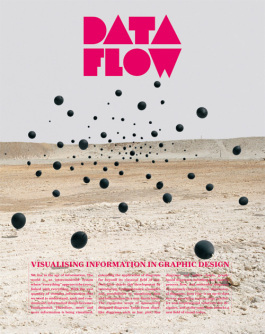 Visualising Information in Graphic Design. Berlin: Gestalten, 256 p.